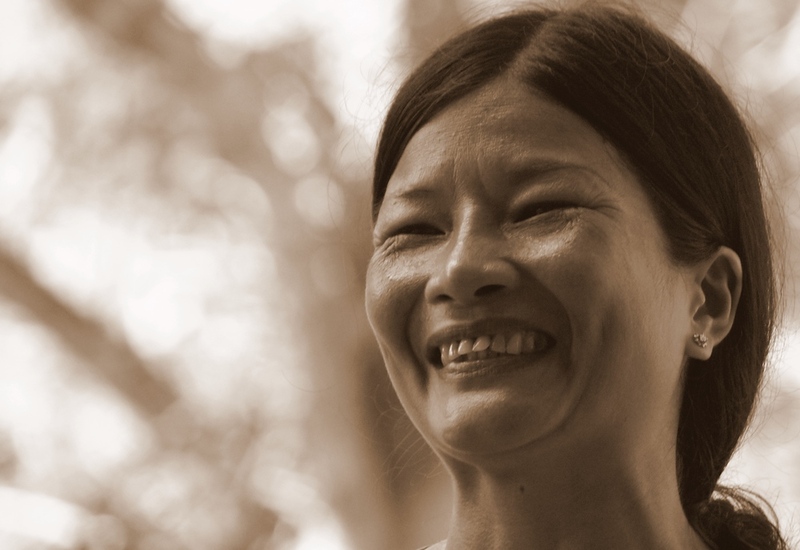 Smiles of Vietnam is a photo essay showcasing the lovely Vietnamese people in both posed and candid portraits. 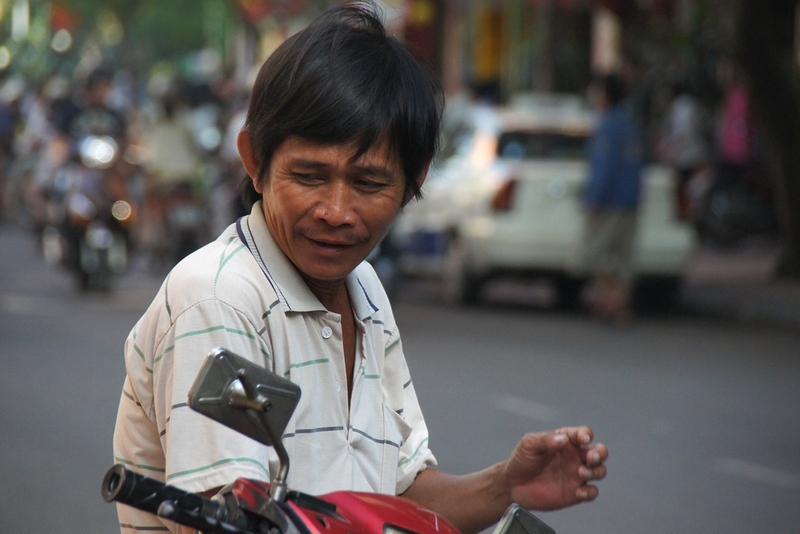 The following photos are from the Southern region of the country – specifically from the Mekong Delta, Ho Chi Minh City (Saigon), Dalat, Mui Ne and Nha Trang. 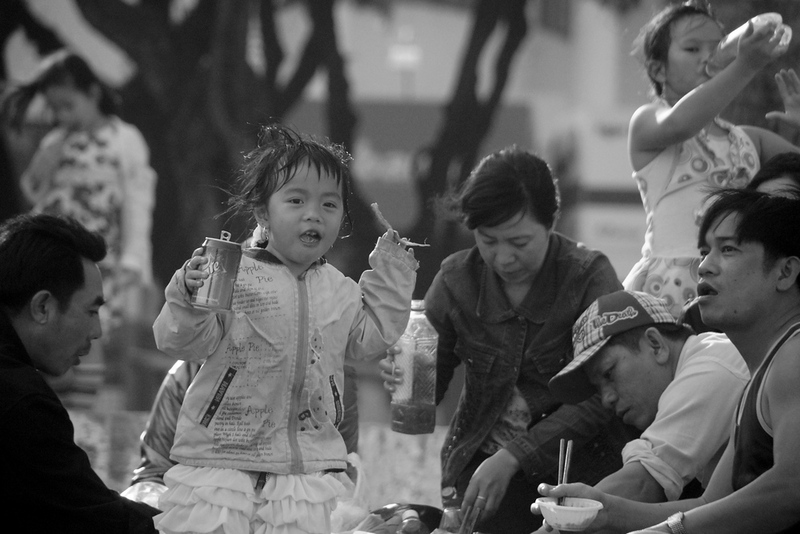 From my encounters with locals on the hectic streets of Saigon to the more backwater and chilled out sections of the Mekong Delta, one can catch a glimpse of what it is like to be in this most fascinating country. 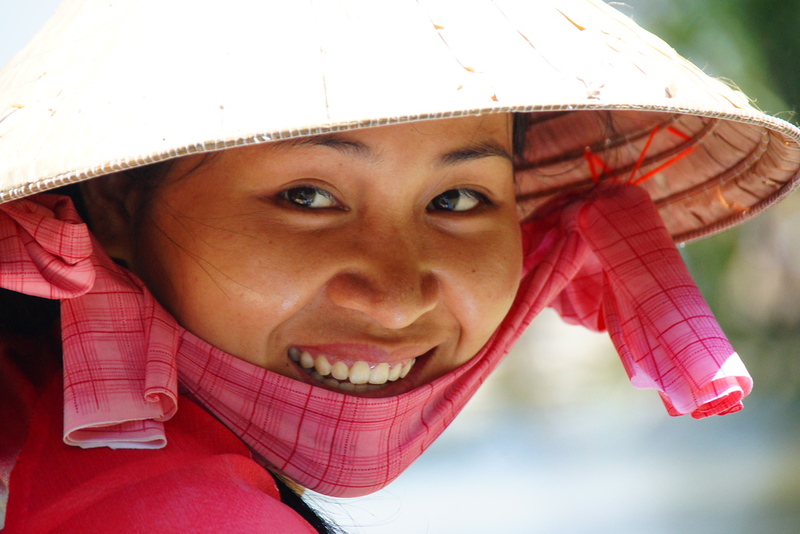 A Vietnamese lady wearing a conical hat looks back briefly while flashing a radiant and most authentic smile – Mekong Delta, Vietnam. 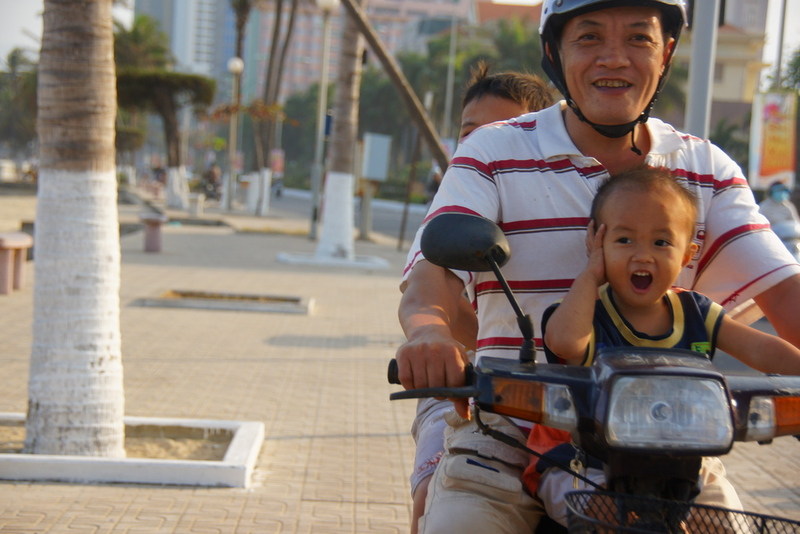 A boy in total glee enjoys every moment of being on a scooter with the rest of his family as they all smile at me – Nha Trang, Vietnam. 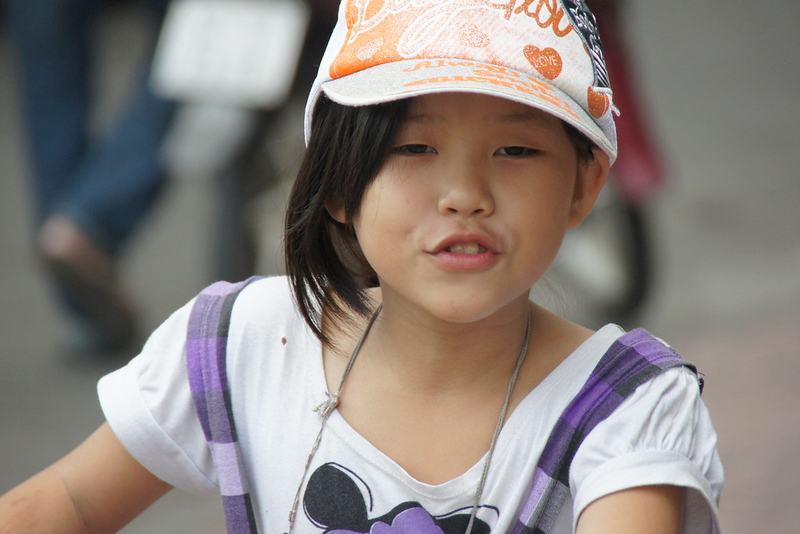 A cute girl stops to pose and briefly smile before taking off on her bicycle – Saigon, Vietnam. 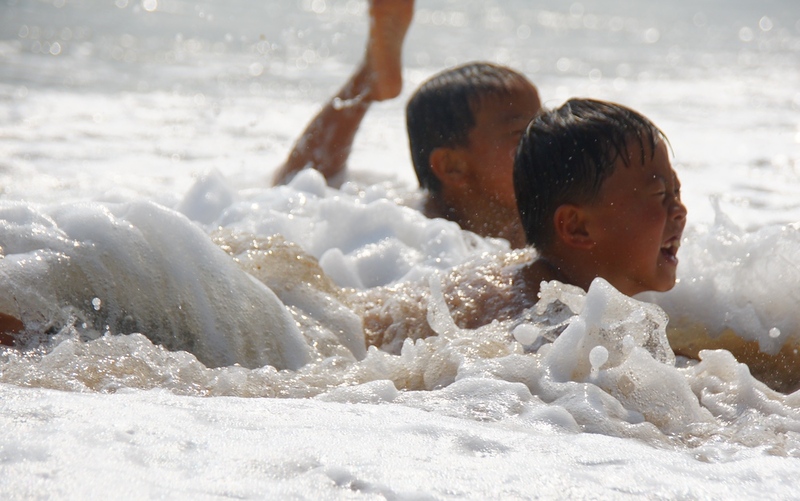 A Vietnamese man pops his head out of the water to exhale while thoroughly enjoying every moment – Mekong Delta, Vietnam. 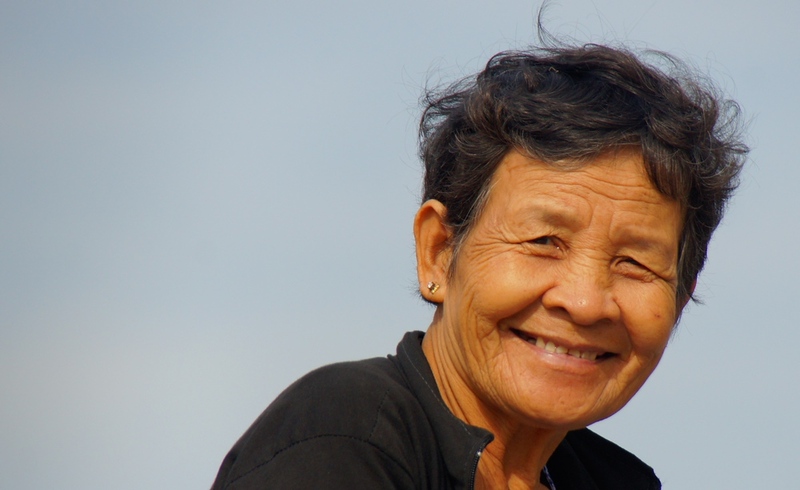 An elderly Vietnamese lady is as friendly as can be – Mekong Delta, Vietnam. 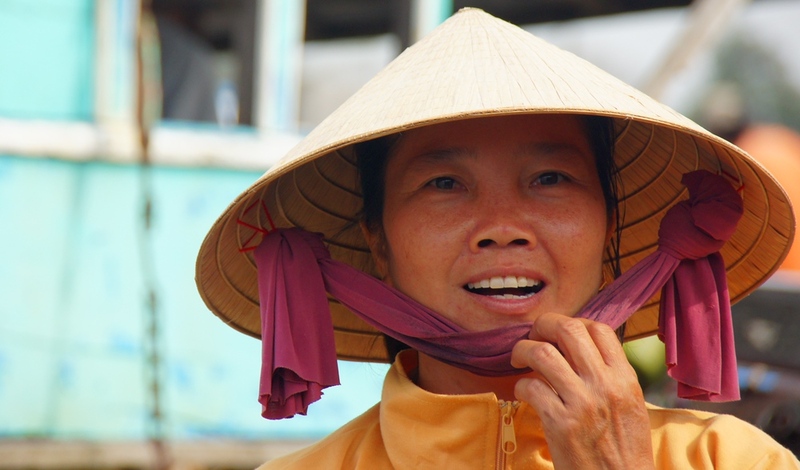 A Vietnamese lady wearing a conical hat adjusts the chin strap while smiling – Mekong Delta, Vietnam. 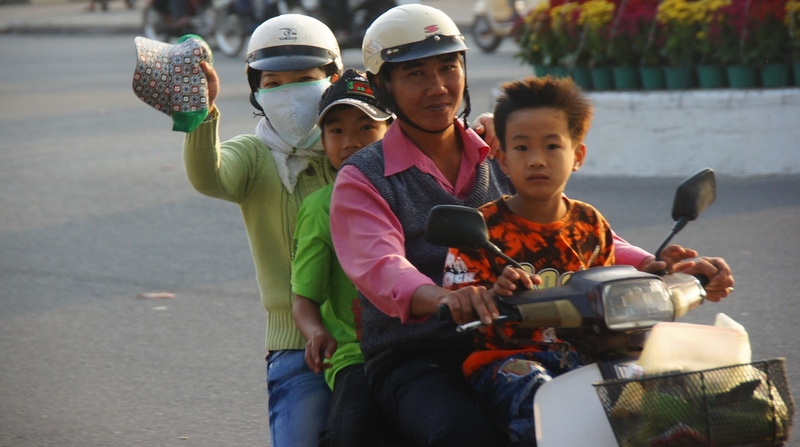 A family of four wave and smile as they speed along the street on their scooter – Nha Trang, Vietnam. 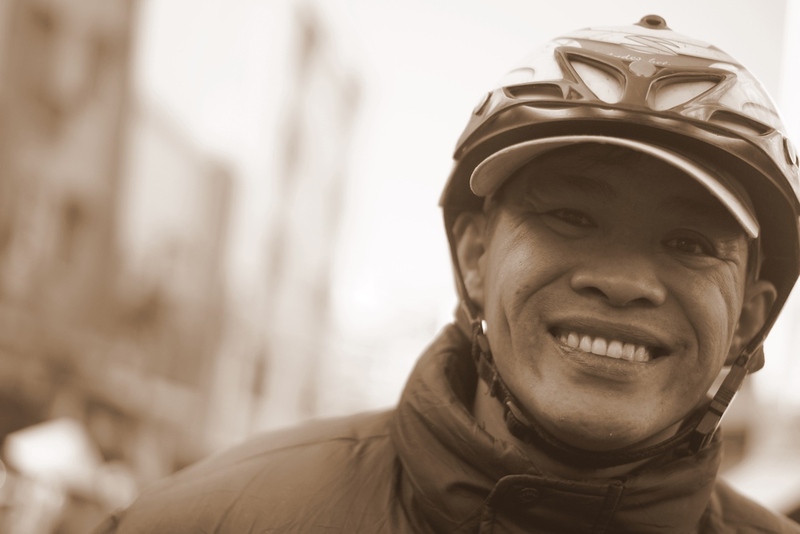 I just wrote a blog about ‘Smiling’ and your website came up in a google search – I love these photos and have put the first one up at the end of my piece, with a photo credit to you and mentioning your website. I hope that is ok with you? 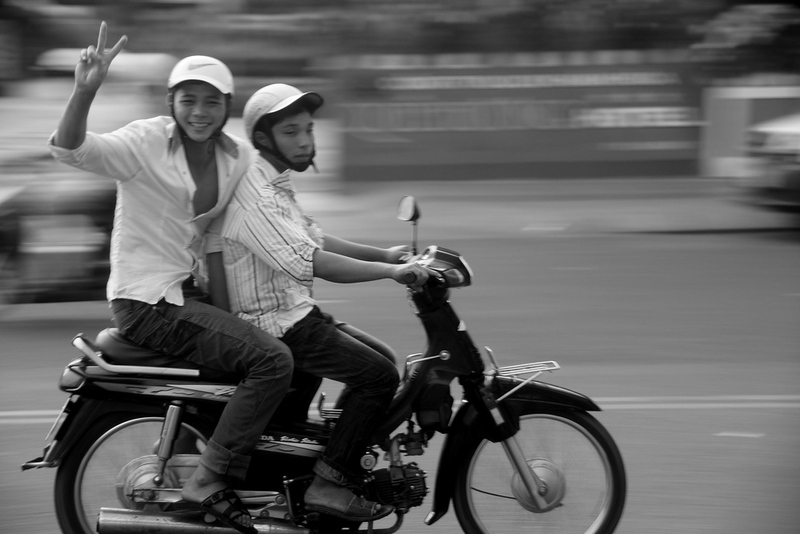 I love the photo of the little boy sitting at the front of the scooter smiling. what great shots. 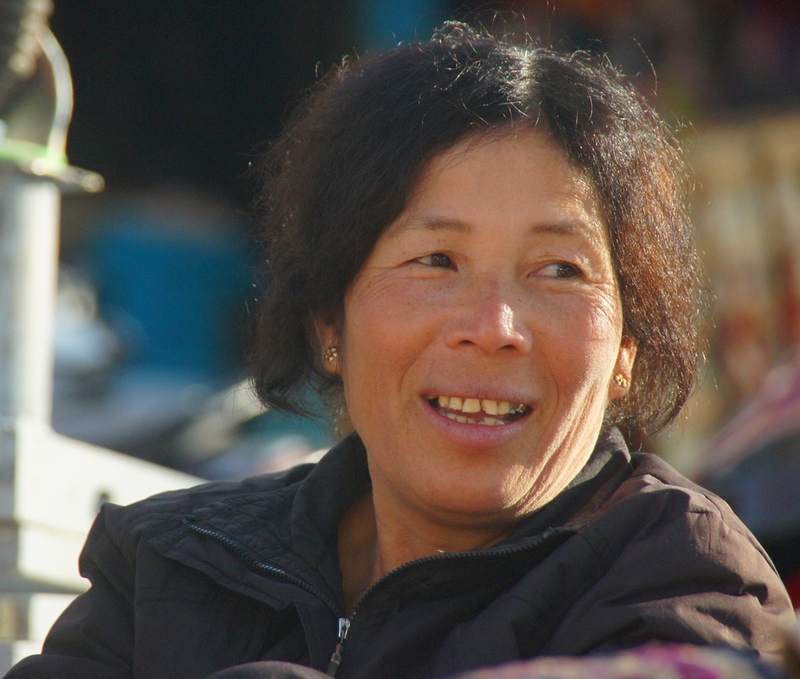 I am always so timid when taking photos of people, upclose or from afar. I especially like the first photo. Its brilliant! Like Sophie, I’m inspired to take more people photos now. Hope I can do well. Sherry, I’m sure you can do that! I’ve seen your photos & you have a lot of talent. Your photos rock. 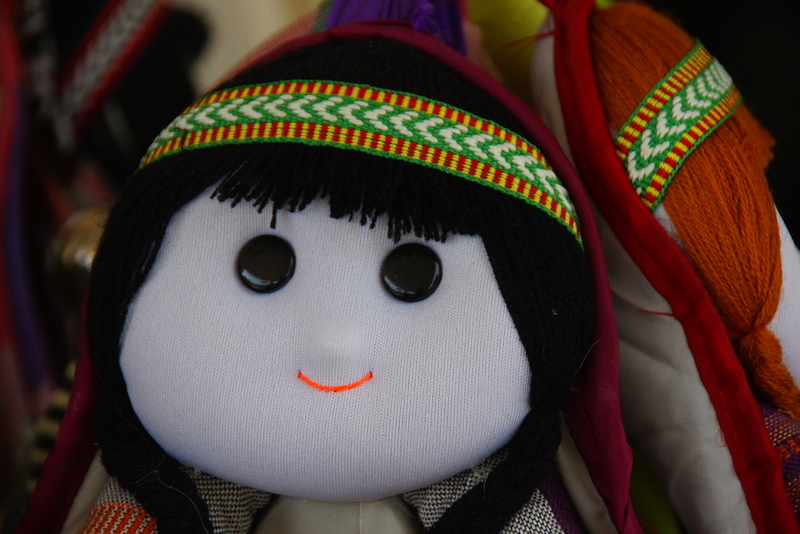 Always brings a smile to our faces from looking at these ones. Thanks Cole & Adela, I truly appreciate you saying this!